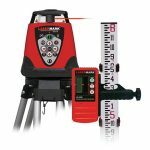 Johnson’s 40-6580 rotary laser level is an outstanding automatic electronic machine for outdoor construction laser levels and a superior machine for contractors use. Johnson level and tool owns a pronounced and commanding power and effectiveness in its work which involves: digging basements, site preparation, setting foundation and footers, establishing grades, excavating, landscaping-terracing and retaining walls, rough and fine grading, contour framing, retention ponds and septic tanks, controlling concrete pours, establish diagonals and footings for decks/patios, alignment and plumb of concrete forms, leveling deck floors, drainage among other functions. 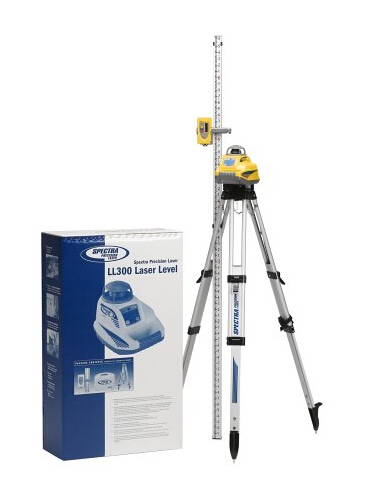 The laser level has a variety of features that make it phenomenal in its function with electronic self-leveling that enables the machine to use gears instead of pendulum to find level. 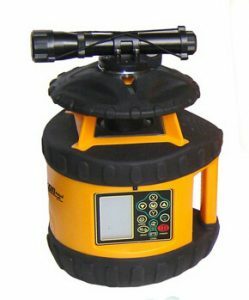 This laser machine has a working range of 2000’ in diameter when used with a laser detector which comes as a package of the laser machine. This beam shield is designed to turn the laser off in the case when multiple lasers are being used further to this the beam produces an alarm response when the laser is moved beyond the leveling ground range thus accounting for effective work and quality performance. 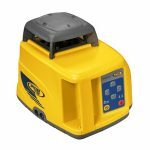 Johnson 406580 laser has an advanced sensitive remote control, this allows the user to control and issue commands to the laser at a far distance without making contact with the machine. User friendly instructional program that allows user to perform slope at different inclinations in both x and y axis, this is designed to help the user adjust the laser for accurate and quality work output. Has a grade setting of Single axis -7.999% Double axis X+Y= 12%. 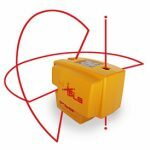 This product has a large coverage range within which it performs very effectively and has been designed in a way to self-regulate its active field of operation. Has an exterior range of up to 2,000ft. 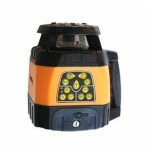 (610m) diameter with detector and Interior range of up to 200ft. (60m) diameter depending upon light conditions. When beyond the required leveling range the laser beam flashes, halts rotation and produces an alarm for adjustments. The height of the laser and the production of the alarm response in the cases when not in range build the completeness and accuracy of the laser at (+/-1.5mm/30m). This helps the user of the machine in perfecting in output, as work is done accordingly. Functions at its best at temperatures of 14 degrees to 113 degrees (-10 degrees Celsius to +45 degrees Celsius). 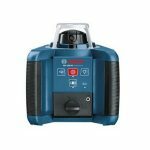 The Johnson laser 40-6580 has an LCD display which necessitates and eases its operation, as the device is user friendly and the commands are visible and simple to follow. Has a rotational speed of 0, 360, 600 and 1100 RPM. 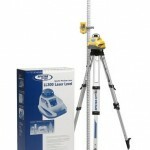 This makes the laser easy to operate from one place, and work at different angles at users will. It also eliminates the tediousness of moving the machine from one point to another. The size of the machine makes it easy to carry in the cases of relocation and work adjustments with dimensions of 8.66″ x 8.66″ x 11.02″ (220x220x20mm). It has Warranty 3 Years and weight of 11Ibs. (5kg). It also has long lasting rechargeable batteries with a battery life of approximately 50 hours; this means after power exhausts one can recharge the batteries and re use them again and again. Having in mind the nature and place of work for the machine, it is designed to accommodate water and dusty environments without failing. It can survive through different climatic conditions and perform at its best. With the ability to stand weather changes which are vulnerable to changing time to time, its accuracy level and the automated working phenomena the Johnson 40-6580 laser Is the ideal laser to bring in the outstanding job that you are looking for.